Egypt has amended a key article in its penal code regulating foreign funding, adding more restrictions and putting harsher punishments in place. The amended article – Article 78 of the penal code – now states that offenders who receive foreign or local funding or items to commit acts against the state's interests, "shall be punished by life imprisonment and a fine no less than 500 thousand Egyptian pounds and no more than what he has been given or promised." This punishment could be raised to execution if the perpetrator is a public servant or holds a public representative status, or "if he committed the crime at wartime or for the purpose of terrorism." 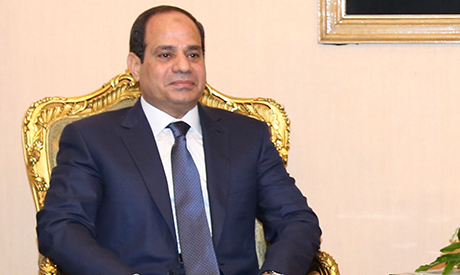 The new article was signed by President Abdel-Fattah El-Sisi and published in the official gazette on 21 September. Previously, offenders were punished with "strict imprisonment" and a fine of at least a thousand pounds, and the higher-level punishment was "life imprisonment" and a minimum of LE500,000. Also, unlike the original text, the amendment lists in more detail the sources of funding and the punishable purposes it could be used for. It says, "Anyone who asks for himself, or for others, or accepts, or takes – even through an intermediary – from a foreign state, or those who work for its interests, or a legal person, or a local or an international organisation, or any other entity that is not affiliated with a foreign state and does not work for its interest, cash, or transferred money, or equipment, or machines, or weapons, or ammunition, or items like it or other things, or was promised of any of that…"
"With the intention of committing acts harmful to national interest, or acts like it, or acts that breach the country's independence, or unity, or territorial integrity, or committing attacks that disrupt public security and safety, shall be punished…" it states. However, the original law only mentioned accepting "from a foreign state, or those who work for its interests, money or any other benefit, or a promise of such a thing, with the intention of committing acts harmful to national interests." This law could potentially affect NGOs operating in Egypt, which have faced heavy security surveillance and have been repeatedly contested over decades. "This article of the penal code could be used so long as the NGO law is not out yet," Talaat Abd El-Qawi, head of Egypt's NGOs Union, told Ahram Online. "However, the law governing the work of NGOs is expected to be out next week," he added. Meanwhile, human rights lawyer Negad El-Borei said that the law would not directly affect NGOs in Egypt, and neither did its original version. He stressed that the main law that would be crucial for NGOs is the draft law expected soon, which stipulates that NGOs must obtain permission from the social solidarity ministry before receiving funding from abroad. Similarly, Hafez Abu Seada, human rights lawyer and member of the National Council for Human Rights, said that Article 78 comes under section of "felonies and misdemeanour’s" of the penal code and does not deal exclusively with NGOs. He said it would be implemented against any person or entity that violates it. NGOs operating in Egypt are already on alert after the government announced they will have to officially register under a law from the era of toppled autocrat Hosni Mubarak. The social solidarity ministry announced in July that all civil groups must be registered with the government, as per Law 84 issued in 2002, which critics say was used to hamper rights organisations' mobility and freedom under Mubarak's regime. The ultimatum – initially set at 45 days – expired in September and was rolled back to 10 November amid harsh criticism from local and international rights groups. NGOs in Egypt have faced heavy security surveillance and have been repeatedly contested over decades. They have also been scrutinised and accused of spying following the 2011 uprising. In February 2012, 43 foreign NGO workers of different nationalities were accused of operating in Egypt and receiving US funds without the appropriate authorisation. In June 2013, 43 of the NGOs' employees were tried – over half in absentia – and given prison sentences for running unlicensed organisations, receiving foreign money and conducting political training without permits. all NGO working for west and cutting every country roots. where is sisi? why Egypt giving so much apportunitys to NGOS?